In short, sustainable travel should minimise the negative impacts of tourism, and if possible be beneficial to the area in which you travel to. 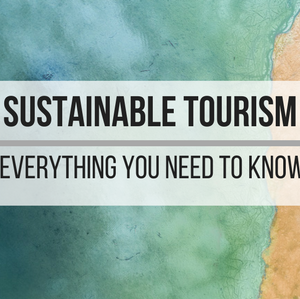 Sustainable travel not only looks at environmental factors such a CO2 emissions, it also considers the social and economic affects that travel may have on an area, such as supporting local businesses, rather than big corporations in your chosen holiday destination. It is well known that air travel is a major source of CO2 emissions. Unfortunately, most of our favourite holiday destinations require getting on a plane. The good news is there are ways to find flights that are better for the environment. 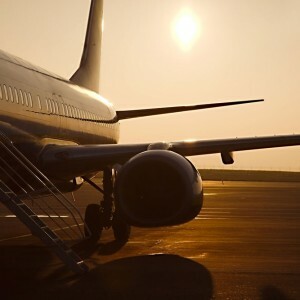 Major flight search engine Skyscanner have calculated an ‘Eco CO2’ rating for flights based on direct routes, fuel efficiency and distance travelled, which means you can choose the least harmful flight to the environment. Click here for more details on this scheme. 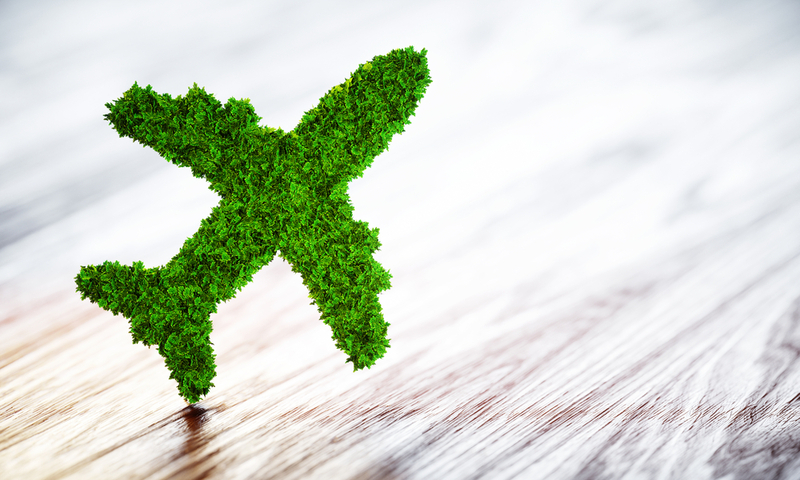 A new flight search engine called Fly Green goes even further by offsetting carbon emissions whenever you book a flight through their site. Packing light and travelling in economy are also ways to be more sustainable if you have to fly. If possible, try to use other modes of transport. Ideally, you should try to walk or cycle while you are on holiday to avoid emitting any harmful emissions. 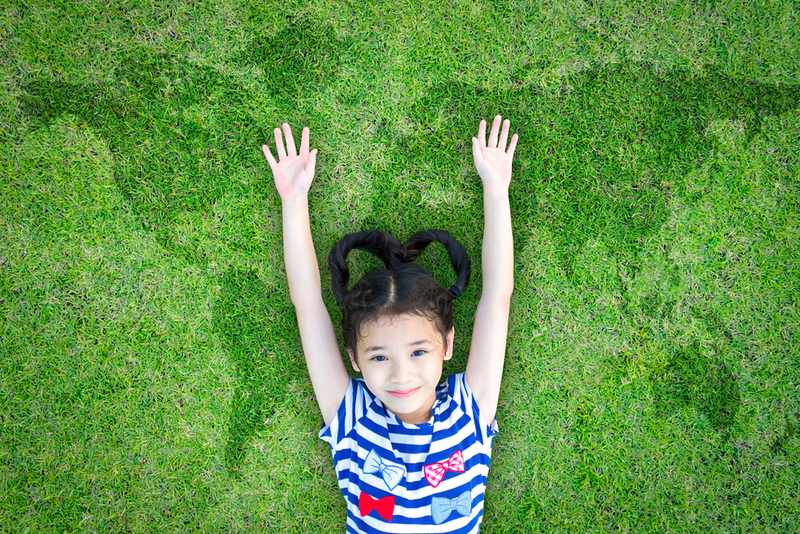 Plus, its great for your wellbeing to get out in the sunshine and get some exercise! If walking or cycling aren’t an option try to use public transport, rather than taxis or a car. The more passengers that are sharing your ride, the lower the emissions, so mingle with the locals on the train or bus! Where you shop -Go local! Avoid large supermarkets and hit the local markets instead. This helps to support local businesses. It also means you are probably going to be buyer fresher produce that has been grown sustainably and hasn’t been packaged in lots of plastic. 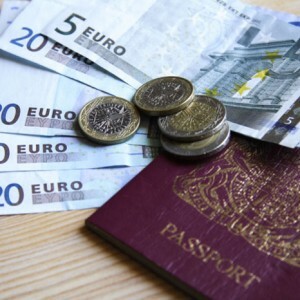 How you shop – Don’t slip into bad habits on holiday. Take reusable shopping bags with you even if the country you are visiting tries to ply you with plastic bags (yes, America we’re talking about you!) and try, where possible, to use refillable containers for things like pasta and rice. Minimise your waste. Invest in a good water bottle that can be refilled. Lose the plastic! A reusable water bottle really is a good investment. Think how much bottled water you get through on holiday when the sun is shining, and you are hot and sweaty! We know that the tap water in other countries may not be as drinkable as it is at home, which is why companies such as WaterWell have produced a bottle that will filter out 99.9% of bacteria and parasites from any water source! 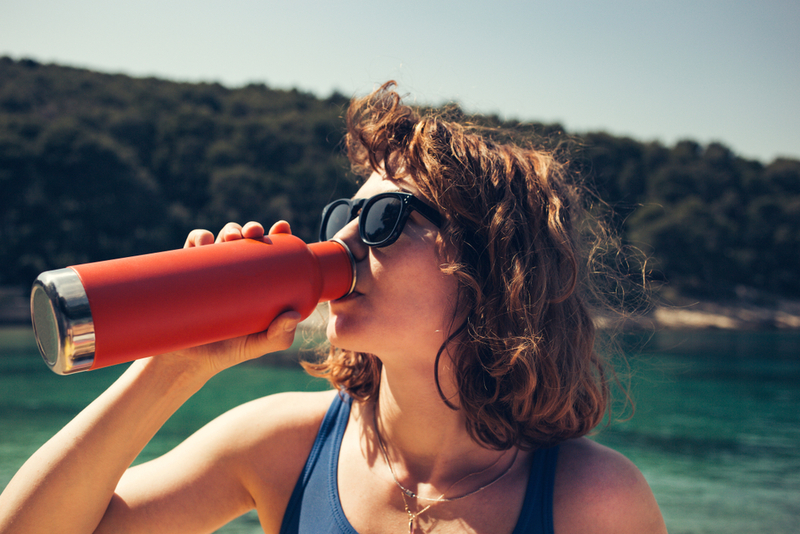 This means you can even fill up your bottle from a lake or river if you want…plus you are not creating more waste with dozens of plastic bottles. This one may be a bit harder, depending on your holiday destination. You may be able to find local charities that care for local wildlife that would love a volunteer for a day. An easier way to help wildlife, and particularly marine life, wherever you go, is to see if you can help out with local beach clean. Even if you can’t find an organised event, if you are staying near a beach spare a few hours of your holiday and get the whole family down to the beach to fill a bag of rubbish each. These small actions can make a big difference. A great organisation to look at if you are travelling to the Costa del Sol is Plastic Free Seas Worldwide who regularly organise beach clear ups on some of the most popular tourist beaches on the coast.